Unconventional Oil refers to crude oil that is not produced by traditional extraction methods. This includes but is not limited to offshore, oil sands, and tight oil. Unconventional oil refers to oil reserves that cannot be feasibly accessed using conventional drilling techniques. These reserves - notably tight oil, oil shale, and bitumen - must be extracted using novel methods. In contrast, conventional oil typically refers to crude oil which uses conventional vertical drilling techniques. There is no fixed definition for conventional and unconventional resources, and may be subject to change over time as technology and economics change International Energy Agency (IEA). "Other FAQs." Web. 20 Nov. 2014. <http://www.iea.org/aboutus/faqs/oil/>. International Energy Agency (IEA). "Other FAQs." Web. 20 Nov. 2014. <http://www.iea.org/aboutus/faqs/oil/>. International Energy Agency (IEA). "Other FAQs." Web. 20 Nov. 2014. <http://www.iea.org/aboutus/faqs/oil/>. International Energy Agency (IEA). "Other FAQs." Web. 20 Nov. 2014. <http://www.iea.org/aboutus/faqs/oil/>. International Energy Agency (IEA). "Other FAQs." Web. 20 Nov. 2014. <http://www.iea.org/aboutus/faqs/oil/>. International Energy Agency (IEA). "Other FAQs." Web. 20 Nov. 2014. <http://www.iea.org/aboutus/faqs/oil/>. International Energy Agency (IEA). "Other FAQs." Web. 20 Nov. 2014. <http://www.iea.org/aboutus/faqs/oil/>. International Energy Agency (IEA). "Other FAQs." Web. 20 Nov. 2014. <http://www.iea.org/aboutus/faqs/oil/>. . Tight oil describes reserves where the oil is trapped in geologic formations with low permeability, like shale or tight sandstone. The most common method of extraction for tight oil is hydraulic fracturing Energy Reality. "Fracking." Web. 20 Nov. 2014. <http://energy-reality.org/fracking/>. Energy Reality. "Fracking." Web. 20 Nov. 2014. <http://energy-reality.org/fracking/>. Energy Reality. "Fracking." Web. 20 Nov. 2014. <http://energy-reality.org/fracking/>. Energy Reality. "Fracking." Web. 20 Nov. 2014. <http://energy-reality.org/fracking/>. Energy Reality. "Fracking." Web. 20 Nov. 2014. <http://energy-reality.org/fracking/>. Energy Reality. "Fracking." Web. 20 Nov. 2014. <http://energy-reality.org/fracking/>. Energy Reality. "Fracking." Web. 20 Nov. 2014. <http://energy-reality.org/fracking/>. Energy Reality. "Fracking." Web. 20 Nov. 2014. <http://energy-reality.org/fracking/>. . 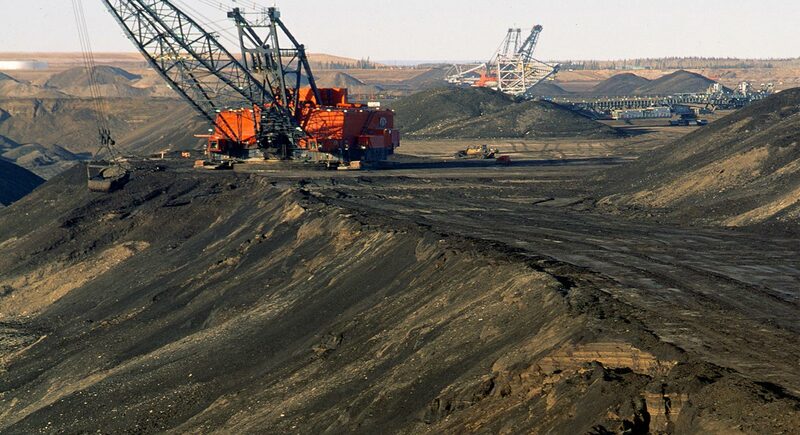 The oil sands are large deposits of bitumen - grains of sand enveloped by layers of water and heavy oil. While the existence of bitumen has been known for quite some time, it is only recently (in the last 50 years) that technology and economic circumstances have allowed it to be extracted. These deposits, notably in Western Canada and Venezuala, can be accessed by surface mining or in-situ techniques. Oil shale is a fine grained sedimentary rock containing an organic compound known as kerogen, a precursor to oil. The extracted rock can be heated in an oxygen free environment to yield different hydrocarbon products; this is known as “retorting” The Basics. Colorado Oil and Gas Association. "Oil Shale vs. Shale Oil." 13 June 2013. Web. 20 Nov. 2014. <http://www.coga.org/pdf_Basics/Basics_OilShale.pdf>. The Basics. Colorado Oil and Gas Association. "Oil Shale vs. Shale Oil." 13 June 2013. Web. 20 Nov. 2014. <http://www.coga.org/pdf_Basics/Basics_OilShale.pdf>. The Basics. Colorado Oil and Gas Association. "Oil Shale vs. Shale Oil." 13 June 2013. Web. 20 Nov. 2014. <http://www.coga.org/pdf_Basics/Basics_OilShale.pdf>. The Basics. Colorado Oil and Gas Association. "Oil Shale vs. Shale Oil." 13 June 2013. Web. 20 Nov. 2014. <http://www.coga.org/pdf_Basics/Basics_OilShale.pdf>. The Basics. Colorado Oil and Gas Association. "Oil Shale vs. Shale Oil." 13 June 2013. Web. 20 Nov. 2014. <http://www.coga.org/pdf_Basics/Basics_OilShale.pdf>. The Basics. Colorado Oil and Gas Association. "Oil Shale vs. Shale Oil." 13 June 2013. Web. 20 Nov. 2014. <http://www.coga.org/pdf_Basics/Basics_OilShale.pdf>. The Basics. Colorado Oil and Gas Association. "Oil Shale vs. Shale Oil." 13 June 2013. Web. 20 Nov. 2014. <http://www.coga.org/pdf_Basics/Basics_OilShale.pdf>. The Basics. Colorado Oil and Gas Association. "Oil Shale vs. Shale Oil." 13 June 2013. Web. 20 Nov. 2014. <http://www.coga.org/pdf_Basics/Basics_OilShale.pdf>. . Unconventional oil resources are typically more expensive to produce than conventional oil, often in the $40-$80/barrel range for production. However, the production of unconventional oil is increasing due to rising demand for fossil fuels and falling reserves of conventionals. The unconventional oil “revolution” has drastically changed the world energy landscape. Advances in technology have made previously hard-to-access oil reserves more economically recoverable. These advancements have triggered changes in global oil supply, demand and transport. It has also affected global energy access and national economies. Perhaps the most notable effect is in the US, which is estimated to transition from a historical oil importer to a net exporter of oil by the end of the decade due to the exploitation of tight oil. This change in the US has drastically affected the global market for oil International Energy Agency (IEA). "Unconventional Oil Revolution to Spread by 2019." Web. 20 Nov. 2014. <http://www.iea.org/newsroomandevents/pressreleases/2014/june/unconventional-oil-revolution-to-spread-by-2019.html>. International Energy Agency (IEA). "Unconventional Oil Revolution to Spread by 2019." Web. 20 Nov. 2014. <http://www.iea.org/newsroomandevents/pressreleases/2014/june/unconventional-oil-revolution-to-spread-by-2019.html>. International Energy Agency (IEA). "Unconventional Oil Revolution to Spread by 2019." Web. 20 Nov. 2014. <http://www.iea.org/newsroomandevents/pressreleases/2014/june/unconventional-oil-revolution-to-spread-by-2019.html>. International Energy Agency (IEA). "Unconventional Oil Revolution to Spread by 2019." Web. 20 Nov. 2014. <http://www.iea.org/newsroomandevents/pressreleases/2014/june/unconventional-oil-revolution-to-spread-by-2019.html>. International Energy Agency (IEA). "Unconventional Oil Revolution to Spread by 2019." Web. 20 Nov. 2014. <http://www.iea.org/newsroomandevents/pressreleases/2014/june/unconventional-oil-revolution-to-spread-by-2019.html>. International Energy Agency (IEA). "Unconventional Oil Revolution to Spread by 2019." Web. 20 Nov. 2014. <http://www.iea.org/newsroomandevents/pressreleases/2014/june/unconventional-oil-revolution-to-spread-by-2019.html>. International Energy Agency (IEA). "Unconventional Oil Revolution to Spread by 2019." Web. 20 Nov. 2014. <http://www.iea.org/newsroomandevents/pressreleases/2014/june/unconventional-oil-revolution-to-spread-by-2019.html>. International Energy Agency (IEA). "Unconventional Oil Revolution to Spread by 2019." Web. 20 Nov. 2014. <http://www.iea.org/newsroomandevents/pressreleases/2014/june/unconventional-oil-revolution-to-spread-by-2019.html>. .
^ International Energy Agency (IEA). "Other FAQs." Web. 20 Nov. 2014. <http://www.iea.org/aboutus/faqs/oil/>. ^ Energy Reality. "Fracking." Web. 20 Nov. 2014. <http://energy-reality.org/fracking/>. ^ The Basics. Colorado Oil and Gas Association. "Oil Shale vs. Shale Oil." 13 June 2013. Web. 20 Nov. 2014. <http://www.coga.org/pdf_Basics/Basics_OilShale.pdf>. ^ International Energy Agency (IEA). "Unconventional Oil Revolution to Spread by 2019." Web. 20 Nov. 2014. <http://www.iea.org/newsroomandevents/pressreleases/2014/june/unconventional-oil-revolution-to-spread-by-2019.html>. Sorry, we do not yet have a video specifically for Unconventional Oil. We are adding new videos to StudentEnergy.org weekly, but in the meantime check out this video on Oil. Oil is a fossil fuel and liquid hydrocarbon used mainly for the production of transportation fuels and petroleum-based products. Heavy Oil is a form of unconventional oil that is thick and highly viscous, and therefore does not flow to production wells under normal reservoir conditions. Tight Oil is crude oil trapped in rock formations that have smaller pore spaces and lower permeability than traditional reservoirs. These formations require hydraulic fracturing for production.